Apart from regular treatment of Alzheimer’s disease, many alternative therapies have also been found to slow the onset and the progression of the disease. They have also been used to prevent Alzheimer’s disease in patients with a positive family history. Alzheimer’s disease is a condition accompanied with progressive decline in the cognitive functions of the brain along with dementia. It commonly strikes after the age of 65 and is the fourth leading cause of death in the elderly people. Although the exact cause of the disease is unknown, several factors like genetic traits, slow viruses, deficient nutrition and many environmental factors have been implicated as the reason behind its development. As the etiology of the disease remains unclear, various forms of alternative therapies have also been tried to treat Alzheimer’s disease depending upon the causal factor that people attribute the disease to. According to a survey conducted by the University of North Carolina School of Medicine in 1994, as many as 55 percent patients of Alzheimer’s disease had tried some or the other form of alternative therapy along with their conventional therapy to get rid of the disease. Read More: Will Alzheimer’s Disease Become New Diabetes 3? The most commonly used alternative therapies for treating Alzheimer’s disease include various health foods, dietary supplements, herbal medicines, acupuncture, music therapy, aromatherapy, massage therapy, etc. Read on to find out how effective these forms of therapies are. Many medical practitioners believe that Alzheimer’s disease is a result of deficiency or excess of certain elements in the diet. It is often thought that free radicals are the main culprits which damage the cells of the body and hasten the aging processes. And the best way to control these free radicals is the use of antioxidants. Nutrients rich in antioxidants and therefore used to treat Alzheimer’s disease include beta carotene, vitamin C and vitamin E, and selenium. Foods rich in beta carotene include apricots, spinach, carrots, sweet potatoes, etc. Sources of vitamin C include all citrus fruits like oranges and lemon, apart from vegetables like broccoli. Vitamin E is abundant in vegetable oils, dry fruits and nuts. Various dietary supplements of vitamin E are also available in the market. Selenium rich foods include fish, liver, whole grain cereals, cabbage, etc. Coenzyme Q-10 given in a dose of 10 to 50 mg three times a day is also said to be effective in Alzheimer’s disease as it increases the oxygen availability to the brain. It has been seen that people suffering from Alzheimer’s disease are often deficient in vitamin B6, vitamin B12 and folate. Therefore, it is believed that supplementing these compounds in the diet will help in preventing the development of the disease. Deficiency of vitamin B12 leads to depression, memory loss, confusion and neurologic problems. Similar features are seen in case of folate deficiency. In case of a deficiency of vitamin B6, there is a fall in the number of dopamine neurotransmitters in the brain. All these symptoms are also seen in case of Alzheimer’s disease leading practitioners to postulate that Alzheimer’s disease may be a result of deficiency of vitamins B6 and B12 and folate. They are generally used to reduce the risk of heart diseases and stroke. They are also believed to lower the risk of dementia and cognitive impairment. Docosahexaneoic acid (DHA) is the main omega-3 fatty acid present in the brain. It is present in the fatty membrane surrounding the nerve cells, especially at the synaptic junctions. Omega-3 fatty acids are said to prevent the onset and progression of dementia due to their beneficial effect on the heart and the cardiovascular system, and for their anti-inflammatory properties and their neuro-protective actions. It is used to prevent the development of Alzheimer’s disease. It strengthens the cell membrane of the neurons and prevents them from degenerating. It also increases the level of chemicals associated with memory. It increases the level of catecholamines in the brain. The adrenergic stimulation by selegiline improves the cognitive deficits associated with Alzheimer’s disease and slows the progression of the disease. “Alzheimer's disease”, by University of Maryland Medical Center, reviewed last on December 6, 2010, accessed on November 21, 2012. 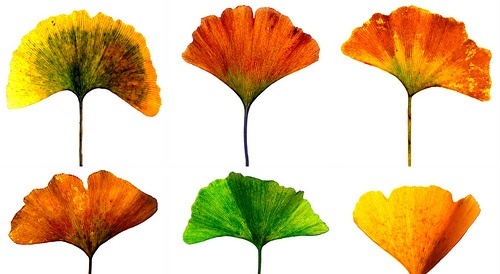 “The Efficacy of Ginkgo biloba on Cognitive Function in Alzheimer Disease”, by Barry S. Oken, et al, published in 1998 in the journal Archives of Neurology, accessed on November 21, 2012. “A Controlled Trial of Selegiline, Alpha-Tocopherol, or Both as Treatment for Alzheimer's Disease”, by Mary Sano, et al, Published in the April 24, 1997 issue of the New England Journal of Medicine, accessed on November 21, 2012.